Despite cooperating closely in propping up Assad on the battlefield, both Iran and Russia disagree on the Syrian dictator’s fate in a post-war Syria. Indeed, whereas Tehran insists that Assad remains in office as part of a peace settlement, Moscow has shown flexibility on this question. This divergence is due to distinct visions of a peace agreement’s function, resulting from their competing geopolitical interests in the Levant. Because Syria is such a strategic location, Iran views a peace settlement as a way to maintain influence short of waging war. 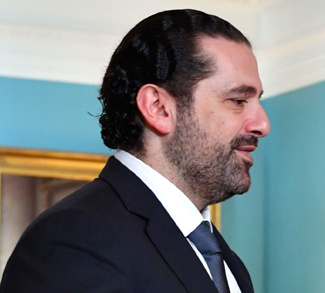 Indeed, in its attempt to achieve regional hegemonic status, Syria acts as the most efficient and safest land supply route to Lebanese Hezbollah. Since a peace agreement would entail an ethnic/confessional power-sharing system prone to political paralysis, Iran will be able to maintain the Syrian land bridge to Lebanon through its wartime local proxies that aren’t constrained by a central authority. More specifically, Assad and his inner-circle constitute Iran’s most efficient conduit of influence in Syria. Despite their constituting 13% of the Syrian population, Iran can’t rely on the greater Alawite community. As the National Interest reported, many powerful Alawite families who are rivals to Assad harbor anti-Iranian sentiments. Belonging to a heterodox Shia offshoot, they consider Iran’s Twelver Shiism as a backward vision of Islam that Tehran is trying to impose on them. Therefore, the Alawites only cooperate with Iran when they face an existential threat from the Sunni majority. However, if a peace agreement is signed guaranteeing the Alawites’ security in relation to the Sunni majority, the broader Alawite community will distance itself from Tehran. Furthermore, Iran can’t solely rely on the Shia community like it does in Lebanon and Iraq. The Shia community in Syria only accounts for 2% of national population. Thus, since demographic weight determines political clout, the Shias won’t have the most important government and administrative posts within any post-war confessional/ethnic power-sharing system. Consequently, the small Shia group won’t be able to block any legislation made by the foreign-backed Sunni majority aimed at reducing Tehran’s influence in Syria. As a result, Assad is Iran’s best option for maintaining influence in a post-war Syria. Indeed, in the context of political paralysis brought on by a confessional power-sharing system, Assad’s intact pre-war patronage system can coopt Sunni politicians into distancing themselves from their constituents and foreign backers. Moreover, over the course of the Syria civil war, he has gone from being an unruly ally to a puppet as a result of his increased reliance on Iran to guarantee his regime’s survival. This fact hasn’t been lost on the rival Alawite families who resent Assad’s subordination to Tehran. Thus, since Assad is wary of any overthrow attempt coming from within his community, he is willing to fully guarantee Iranian interests in exchange for Tehran’s protection against potential coups. Consequently, Iran prefers a peace settlement with Assad remaining in office in post-war Syria. 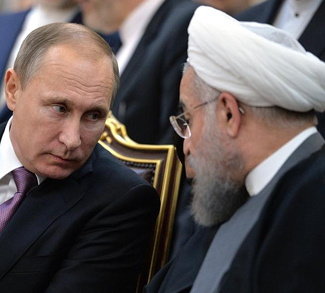 But Iran’s peace plan might be dashed by Russia, which has an agenda of its own. Unlike Iran, the Kremlin sees a Syrian peace agreement as a way to gain leverage over the U.S. regarding more important issues pertaining to Russian national security, such as the Ukraine crisis and its associated economic sanctions. Indeed, as a regional power focused on reestablishing its influence in its Near Abroad, Russia doesn’t have any fundamental interests in the Middle East like Iran does. Therefore, in the context of a new cold war with the West over Eastern Europe, Russia’s military intervention in Syria is primarily aimed at pressuring the U.S. into reconsidering its stance on the Ukraine crisis by complicating Washington’s efforts to achieve its geopolitical imperatives in the Middle East. Indeed, as a superpower, the U.S. has important geopolitical interests in the Middle East, unlike Russia. These include impeding Iran from becoming a regional hegemon as well as preventing jihadists from using failed states as safe havens. Therefore, by propping up Assad on the battlefield, Moscow is facilitating Iran’s bid for regional hegemony since Assad has become an Iranian puppet in the course of the Syrian civil war. Moreover, direct Russian military support for Assad prolongs the war thus creating more jihadists within the opposition movement. However, contrary to Iran, Moscow considers the Syrian dictator as a bargaining chip in its greater struggle with the U.S. Thus, the Kremlin is willing to facilitate US policy aims in the Middle East by ditching Assad as part of a peace agreement, but only if Washington agrees to reconsider its stance on Ukraine and economic sanctions. Since Russia is the regime’s prime interlocutor given its greater diplomatic clout, Iran – being the junior partner – is worried that Moscow will strike a peace agreement with the US-backed opposition entailing Assad’s exit from power. Therefore, it’s fair to say that the level of distrust between Iran and Russia is lower when hostilities continue unabated and no concrete peace initiative is underway. Indeed, in this situation, Russia sees no point in ditching Assad, who can’t be used as a bargaining chip since no talks are taking place. However, distrust between Tehran and Moscow is higher when a lull in the fighting occurs in parallel with a serious peace effort to bring the Syria civil war to an end. 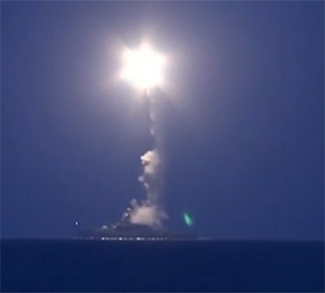 What are Russian Airstrikes Aiming at in Syria?